Air France has introduced a new service on its Wi-Fi equipped aircraft where passengers can pay for inflight Wi-Fi to use on their own devices. 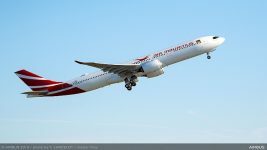 The Stream pass allows passengers to benefit from a high speed internet connection to enjoy streaming and downloading throughout the flight for 30 euros (10,000 Miles). This allows passengers to send and receive Whatsapp, Facebook Messenger, iMessage and WeChat messages free of charge on their smartphone or tablet throughout the flight. Passengers can also access the airfrance.com website and the Air France app to consult or modify their reservations. Passengers can pay for Surf and Stream passes by using various different forms of payment: Visa, Mastercard, American Express, PayPal or Flying Blue Miles. 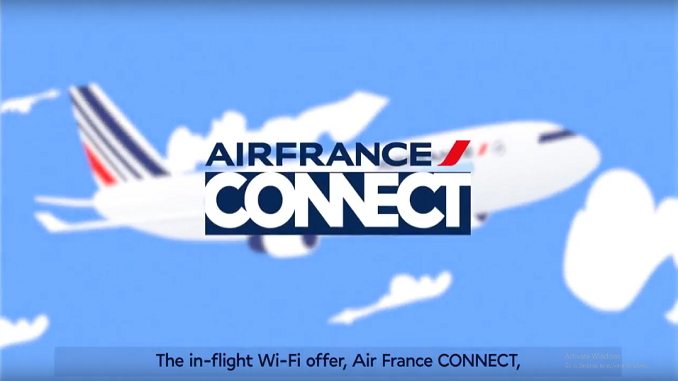 The Air France CONNECT offer will gradually be extended to offer passengers additional services and entertainment such as detailed flight information, shopping and a wide selection of films, TV series and documentaries to watch free of charge on their smartphone or tablet. 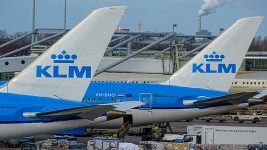 By the end of 2018, Air France CONNECT, will be available on 22 long-haul aircraft and 8 short- and medium-haul aircraft, with an aim of equipping the entire fleet by the end of 2020. Air France has produced a video showing how Air Connect works.